Aegon Life Insurance Company Limited launched its operations in India in July 2008. Formerly known as Aegon Religare Life Insurance Company Limited, the vision of the organisation is to offer insurance solutions that would help people plan their lives better. For the fulfillment of this objective, the insurance company has created a complete product suite that serves the varied needs of customers. The insurer also provides customised advice to enhance the overall customer journey. Aegon Life Insurance was created through a coalition between Aegon, an international life insurance solutions provider and Bennett Coleman & Company, a frontrunner in media services in India. Headquartered in Mumbai, the company serves 4.5 lakh customers across the country. Life insurance companies offer a wide range of policies to meet the needs of customers with different requirements. There are protection plans, endowment plans, ULIPs, whole life insurance plans, money-back policies, retirement plans, child plans, etc., commonly offered by life insurers in the market. Private life insurer Aegon Life Insurance has a diverse range of products in its lineup to satisfy the requirements of its customers. Based on their investment goals, customers can opt for more than one type of life cover to take care of their insurance needs. A term insurance policy ensures that your dependents do not face financial issues in the case of your sudden demise. You are required to pay a small premium on an annual basis for a specified period of time. In this interval, you will be protected by a life cover. If you face death during the policy term, your dependents are paid the benefits as promised by the insurer. When you purchase a ULIP plan, a part of your money is invested across assets like bonds, stocks, etc. This is similar to investing in mutual funds. The remaining money is utilised for the purchase of a life cover that has a specific validity. Buying a ULIP enables you to get returns on your money through investments and remain insured simultaneously. A retirement plan offers you benefits in the form of monthly pensions post retirement. You are required to bear the premiums for a specific duration. After you enter into retirement, your financial security will be enforced through the benefits of the pension plan. The retirement plan offered by Aegon Life Insurance Company Limited is Aegon Life Insta Pension Plan. Group insurance plans provide insurance coverage to a group of people such as the employees of a company or the members of an association. The group plans offered by Aegon Life Insurance Company Limited help the policyholder set aside a definite sum of money that can be utilised later for meeting gratuity, life insurance, and loan repayment needs of the members. Multinational insurance service provider Aegon N.V. is the largest shareholder in the company with 49% ownership. The Times Group, also known as Bennett Coleman & Co. Ltd, is another major shareholder with 44% stake in Aegon Life. Aegon Life Insurance Company Limited has a three-step claims process that is designed to settle all valid claims with minimal hassles and within the quickest turnaround time. Step 1 - Intimation of Claim : The claimant is required to submit the duly filled claim forms and other relevant documentation at the nearest branch of Aegon Life Insurance. The claim form templates can be downloaded from the insurer’s website. Step 2 - Payment of Fund Value : In the case of a death claim, Aegon Life Insurance pays the fund value that was accrued under the policy to the beneficiaries of the insured. All relevant documents need to be submitted by the claimant to receive the payout. Step 3 - Settlement/Payout : When the insurance company receives all necessary documents from the claimant, they will commence the claims process at the earliest possible time. If any further clarifications are needed, they will get in touch with the claimant. If all submitted documents are as per the requirements, Aegon Life Insurance will release the death benefit/rider benefit/balance amount to the claimant. Aegon Life Insurance also enables claimants to settle claims through National Electronic Fund Transfer (NEFT). In this mode of claim settlement, the claim amount is directly transferred to the bank account of the beneficiary. For this payment method, the beneficiary is required to provide his/her bank account details at the time of raising the claim. Aegon Life Insurance is currently one of the most successful life insurance companies in the market and has been doing well ever since it was established. The company has made it known publicly that it aspires to make revenue equal to Rs.630 crore in the current fiscal year. The Chief Distribution Officer, Ahmed Zackaria, shared the growth performance of the company in Chandigarh and stated that the company has more than 4 lakh policyholders and had made revenue equal to more than Rs.550 crore in the previous fiscal year. The company aims for a double-digit growth this year. With the constant growth and heightened insurance penetration, the firm is hopeful of achieving its goal for the year. The company that operates from metro cities such as Chennai, Delhi, Mumbai, Pune, and Bangalore, is popular for its digital insurance initiatives. The company had recently launched an insurance product names POS GRIP. It is a plan designed specifically for the younger section of the society of the age group 25 years – 45 years that comprises 68% of the customers of the company. Aegon Life Insurance Company, which has a business strategy of acquiring new customers through online channels, without the assistance of intermediaries, is looking to partner with e-commerce players, build brand equity, and expand its product portfolio in the future. Aegon Life Insurance was formed in a joint venture between Bennett, Coleman, and Company Limited, and Aegon N.V. in the year 2008. The company sells most of its policies through online channels, without the involvement of intermediaries like banks and individual agents. The company is trying to improve its brand equity to attract more customers. Aegon Life Insurance today launched ‘POS Guaranteed Return Insurance Plan (GRIP)’, which is a non-linked, non-participating insurance plan with guaranteed benefits and simple features. This product is suitable for those who wish to be provided cover along with decent returns. This particular plan offers a large variety of life insurance solutions and allows the customer to have a piece of mind by having their future secured. Aegon also released a campaign called “Aegon, toh Tension Gone”, which aims to inform people that they should not procrastinate when it comes to purchasing insurance. The plan can be purchased online from the official website of the insurance company and guarantees tax efficient returns as it allows the customers to invest in fixed return instruments. As this plan offers benefits of protection and savings, the customers will receive a guaranteed addition equal to 10% every year and loyalty booster equal to 25% of the sum assured at the end of the policy term. The premiums for this plan are reasonable in nature and can be paid in either monthly, semi-annual, or annual mode. The guaranteed maturity payouts will be equal to 225% to 325% of the basic sum assured. The customer will also be eligible for tax benefits under Section 80C and Section 10(10D) of the Income Tax Act, 1961 for the premiums paid and the benefits received respectively. Private life insurance company Aegon Life has roped in Bollywood actor Vicky Kaushal for its new life insurance ad campaign titled #NoTension. This ad will target millennials and appeal to them about the importance of becoming self-dependant while buying insurance. It urges young people to stop procrastinating and buy a life insurance policy during their young age. The commercial begins with a peppy tone and showcases Vicky Kaushal as someone who remains tension-free in life except for the uncertainties in life. Then, he comes across the term plans offered by Aegon Life and they help him against various uncertainties in life. The key message from the commercial is that protecting the financial needs of one’s family is a major concern, and life insurance plans provide this security to ensure a tension-free life. Most importantly, it advises young people in the country to stop procrastinating and buy a term insurance plan right away. Aegon Life, as part of its ‘No Tension’ campaign, has come up with an advertisement that will be rolled out on TV, radio, print, and digital media. The objective of the campaign is to make the self-dependent tech-savvy millennials understand the importance of life insurance. The campaign urges people to purchase a life insurance policy at the ripe time without postponing it to another day. Vicky Kaushal is a part of the campaign and he was roped in as he is believed to represent the youth of the country. Aegon is a new-age digital e-commerce insurance company that millennials would prefer as it would save on time and effort. The MD and CEO of Aegon Life, Vineet Arora, said that stress is a major concern in today’s life for various reason but the stress with respect to protecting loved ones in times of trouble can be eliminated by purchasing a life insurance policy. Though other uncertainties may or may not be avoided, the tension with regard to financially supporting one’s family members can be planned in advance. He says that the campaign pushes the new generation to act the right way and avoid procrastination. Almost about two years ago, Aegon Life Insurance took its boldest move by shifting its insurance platform completely online. This meant that the company will cease middlemen operations and the role of insurance agents to sell its products. Though the sales took a hit, the company has stuck by its business model and will soon reap the benefits of its bold decision. According to the insurer, following their digital drift, the company, in FY 2017 took a 33% hit with regard to their sales as compared to FY 2016. But despite the drop in sale of their products, the company’s CEO Vineet Arora, said that volumes may not be very high in the online business, because our focus is on protection business. He added by saying, Aegon Life were the first company to launch online protection (term insurance) and continue to be strong in the protection space. We are the eighth largest in the protection base and this shows that our strategies are proving right. However, the number of customers choosing to renew their policy online grew by 80% in FY 18 as compared to a growth of 65% in FY 2017. Arora concluded by saying that online business tends to have a higher rate of persistency. This is primarily because customers themselves come to the platform and buy the policy; it is not a push product. The reason for taking the life insurance policy with the AEGON LIFE is because when compared to the other insurance polices it is best. It is the term insurance policy where i pay the premium on monthly basis. The policy coverage is for self and spouse. There is no particular reason for taking the life insurance policy with the AEGON LIFE and the documentation process is easy to get the policy. It is the term plan where the maturity period is for 40 years. The premium i am paying for monthly basis with this policy. There is no particular reason for taking the life insurance policy with the AEGON LIFE but the documentation process is simple but the some details are filled incorrect. The maturity period is for 21 years where the premium i pay on yearly basis with this policy. The reason for taking the life insurance policy with the AEGON LIFE is because of the tax benefits and also for the security reason. The premium i paid for 3 months for monthly basis. Due to no offline payment i have closed this life insurance policy. They have the claim settlement which is higher also the premium is lower than others so i have taken the AEGON LIFE for life insurance. Premium i pay 1500 rupees approx monthly once. Documentation process is simple and it is the term insurance policy. There is no particular reason for taking the life insurance policy with the AEGON LIFE but the documentation process is simple and easy to get the insurance policy. The premium i pay for monthly once through auto-debit from my account. The maturity period of this policy is for 65 years of my age. It is with the good claim ration with the premium which is lower than others when compared so i have taken the life insurance policy with the AEGON LIFE. Premium i pay on monthly once with this policy also they are giving the good benefits. Coverage is for self and it is the term plan. The AEGON LIFE insurance is suitable life insurance policy to me so i have taken this policy and the premium i am paying on monthly basis through the debit card. The policy coverage is for complete family also the maturity period is for 35 years. I have purchased the life insurance policy with the AEGON LIFE where the documentation process is easy and simple with this policy. It is the term plan i have taken with this policy which gives the policy coverage for self. The premium i have paid is 245 rupees also i have faced no issues with this policy. There is no particular reason for taking the life insurance with the AEGON LIFE but it is the term plan so i have taken this policy. I pay the premium for this policy is 545 rupees on monthly basis. I have faced no issues with this policy the documentation process is very good. The reason for taking the life insurance policy with the AEGON LIFE is because of the longer maturity period when compared to the other policies. It is the term plan where i am using it since from last few months and the premium i am paying it monthly basis. It is with lower premium when compared to the other policies with this policy so i have taken the life insurance policy with the AEGON LIFE. The policy coverage is for self insurgence and it is the term plan where i have taken. The premium for this policy i pay for monthly once. There is no particular reason fro taking the life insurance policy with the AEGON LIFE where i have stopped paying the premium for this policy and i have cancelled this policy because the premium is higher when compared to the other policies. There is no particular reason for taking this AEGON LIFE insurance policy. The maturity period is for 30 years with this insurance policy. The policy coverage is for complete family. The premium is monthly once with this policy. They give us a medical illness coverage. 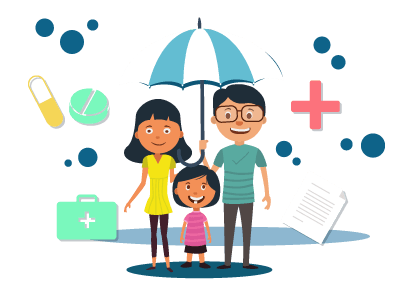 The reason for taking the life insurance policy with the AEGON LIFE is that it is better when compared to the other policies.as a life insurance policy and it is term plan. The premium where i have paid is for 600 rupees for this policy for monthly once. I have compared to the others and the AEGON LIFE is with good features so i have taken with this insurance policy. The premium i paid 2000k as a premium for monthly once. It gives the policy coverage for self. It is a term insurance policy and it is very good policy. There is no particular reason for taking the life insurance policy with AEGON LIFE. The premium i pay on monthly basis and it is satisfactory with this policy. It gives the self coverage and it is the term plan. I am satisfied with this policy. There is no particular reason for taking the life insurance policy with the AEGON LIFE but they are offering the good benefits, premium is lower so i have taken this policy. The maturity period is for 70 years, premium i pay on monthly basis. The reason for taking the life insurance policy with the AEGON LIFE i because of brand value. The maturity period of this policy is for 25 years added on that the premium i pay on the monthly basis for this policy. The documentation process is easy and simple. The customer service and response was average. I have purchased term plan for myself. The sum assured value is 50L, I got good service and premium was low. I have received the document. I need to pay premium monthly 734 rupees through online, sometimes I face issues while making the payment.